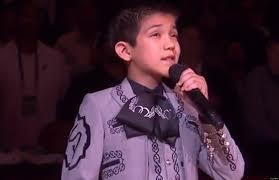 Eleven-year-old Sebastien De La Cruz sang the national anthem at one of the NBA games and racist rants on twitter followed. Then, just recently, the twitter world became inflamed once again with the crowing of Nina Davuluri, an Indian-American, as Miss America. Both incidents captured a bit of on-air news time, but what is not being addressed is the underlying cause of these less-than-enlightened knee-jerk reactions. Only now, it’s not just people who come here from another country who are being shunned; people who are born here are not considered to be “American” because of the way they look. 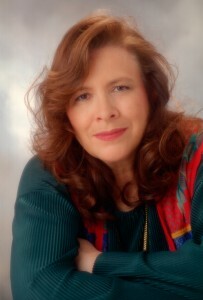 I remember a talk Jean Houston, author and scholar, gave at the National Headquarters of the Theosophical Society back in 1992, titled “The Greening of the American Psyche.” She said that nationalism among a country’s citizens would become stronger. The Balinese would become more Balinese etc. Her statements at the time surprised me because I thought we were supposed to be evolving past the idea of duality (separateness) and moving toward the truth of non-duality (Oneness). But today, twenty years later, I see that she was right. With the rise of hate and so-called ‘patriot’ groups , the notion of “we are all one” is relegated to being a quaint new-age notion that has no grounding in the material world. Krishnamurti said, “Patriotism, whether it is of the western kind, or of the eastern kind, is the same, a poison in human beings that is really distorting thought. So patriotism is a disease, and when you begin to realize, become aware that it is a disease, then you will see how your mind is reacting to that disease. When, in time of war, the whole world talks of patriotism, you will know the falseness of it, and therefore you will act as a true human being.” You can see how those statements would have brought K to the FBI’s attention. He was under their surveillance for a time and he did not speak in public from 1940-1944. Media outlets have been reporting on the changing demographics of this country, which are being analyzed, politicized and debated with so much rhetoric, that we need a scorecard to keep track of all the perceived traits used to identify and separate ourselves from each other. Unfortunately, this separation has it cheerleaders in certain political and media circles, resulting in the acrimony and hate we saw directed at Sebastien De La Cruz and Nina Davuluri. Identity, and thus duality, originates in the mind. All rhetoric, patriotic or religious, gets processed through the mind, which is where fear originates. Where are our hearts? Our heart is the place where our inner life is nurtured and from where compassion, understanding, tolerance, and yes, non-duality, is expressed. I’ve said before that the world is shallow, noisy, and divisive, so it’s not that difficult to keep people stuck in duality/fear as it’s constantly propagated by the patriotic and religious agenda pushing of governments, churches, and media outlets. They may be able to reach your mind, but they cannot reach your heart, unless you allow it. The Eve of Destruction…of Fear! 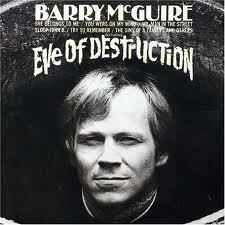 Barry McGuire sang the iconic song, The Eve of Destruction, in 1965, two years after the Kennedy assassination, when we were immersed in Vietnam and civil rights, and three years before the assassinations of Martin Luther King and Robert Kennedy. The 60’s were a decade of change, turmoil and fear – sound familiar? I think back about how we were all manipulated by fear back then, especially during the Cuban missile crisis: fear of the Russians, fear of the bomb. I remember, as school children, the completely ridiculous ‘duck and cover’ exercises we were forced to practice. I remember being out in the schoolyard and being fearful of every plane that flew overhead; afraid that it was the Russians coming to drop the bomb on us. And we didn’t even have 24-hour news networks with nonstop talking heads telling us who to fear, how afraid we should be, and who was to blame for not keeping us ‘safe.’ To their credit, TV news anchors and journalists back in the ‘60’s behaved with much more dignity and impartiality than what we see today, and yes, the Cuban missile crisis was a difficult time, but fear still sells ratings and so we’ve seen the atmosphere of fear escalate, especially since 9/11. More wars, more money spent on death and destruction. Has the fear abated with all these efforts – even with the elimination of Bin Laden? Of course not. Even if we didn’t have a financial crisis going on right now, there would still be media attention focused on something to provoke fear in our hearts; look at immigration reform. If you really think about it and look beyond the rhetoric, you will see that we are being manipulated to regard anyone who is not ‘American’ as a threat. And it’s not just the politicians or the media, organized religions rank pretty high on the list of fear mongering. Unfortunately, we cling to the material world as if it were our lifeboat. It’s not. When the stock market crashed in 1929, people threw themselves out of windows. Their identity was so wrapped up in what they had that they couldn’t live with the fear that loss provoked. What does this have to do with non-duality? Quite frankly – everything. Fear keeps the illusion of separation alive. You cannot experience ‘Oneness’ (non-duality) while you are in the state of fear. It’s impossible. And, some will say, that’s the way ‘they’ want to keep it. Who are ‘they?’ – I’ll let you figure that out for yourselves. If you keep the masses in fear you can continue your control of them. It’s that simple. There are two types of fear: fear that we internalize and fear that we externalize. The internalized fear results in panic, anxiety, obsession, compulsion, and worry. The externalized fear creates the hate and violence we see on so many levels of society. This type of dysfunction, whether it’s internal or external, all stems from the incorrect notion that the ego is in charge and the material world is all there is. When we get out of our egos, through meditation or other exercises that promote a state of non-duality, we are no longer afraid because we are tapping into that part of ourselves that is real and indestructible. We no longer see others or situations as threatening. Remember, it’s a matter of perception. It’s not what happens to us that we should worry about, but our reaction to what happens. So cultivate tolerance, compassion, and your inner life. We are on the eve of the destruction of fear. In my Catch-22 post of June28th, I suggested a couple of ways one can begin to experience non-dualism. Cultivating tolerance and compassion along with a desire to serve others, without seeking recognition or compensation, are all ways that will help break down the wall of separation (duality) that is threatening our world today. These suggestions will help in changing perceptions, but there is another piece to this I’d like to address. This may be a kind of ‘chicken and the egg’ scenario, but some people will need to connect to themselves before seeing their connection to everyone and everything else. This is where meditation comes in. Spending time in quiet contemplation or meditation helps us to better understand ourselves; not in terms of the external world, which is shallow and ultimately meaningless, but in terms of who we really are – at our core. 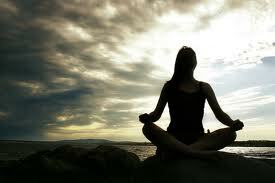 Meditation cultivates our inner life and it’s important to remember that the outer is the reflection of the inner. The only focus in the world today is on our outer life. We go to school to learn science, math, history etc., so we can get a good job, compete in the world, make money, and enjoy the material comforts of life. We learn and assimilate what society deems important and useful, so all of our energy is projected outside of ourselves. We live in fear and anxiety over protecting what we have. Consequently, we become lost in our lives, remaining blind and ignorant to the truth about who we really are and our connection to everyone and everything in the universe. We are lost as a society and we need to find ourselves again. Cultivating our inner lives through meditation can be an important first step to accomplishing this. The physical and emotional benefits of meditation are many: lowered blood pressure, reduced stress and anxiety, better concentration, management of chronic pain, to name a few. 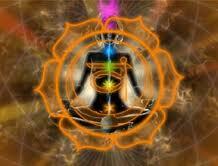 The spiritual benefits include the discovery of one’s true self beyond the ego and the body. All these benefits (and there are more of them) will naturally lead to a more compassionate worldview. Fear will be replaced with tolerance, compassion and love. The outer is the reflection of the inner. I remember a time when science debated the mind-body connection, if you can imagine. Well, at least we’ve come this far. Now it’s time to take a greater leap. Times are changing and whether we like it or not we are facing a crisis of perception. We are seeing the old societal structures being challenged and broken down. Unable to sustain the old forms, we are being given a unique opportunity to move into a more unified perception of our world. Whether it starts with cultivating our inner life through a meditation practice, or it starts with looking for ways to be of service through changing our mindset (which can lead to the cultivation of a richer inner life) it doesn’t matter. It just needs to start. Here’s the thing. I can blog about non-duality and you can read about non-duality until the cows come home, but until there is direct experience, there is no real understanding. Oh, there may be an intellectual understanding to a certain point, but no real ‘gut’ feeling of those ‘aha’ moments that tell us we really and truly get it. Direct experience is the real teacher. Direct experience is truth because it cannot be refuted. Unfortunately, it also cannot be proven by the usual scientific standards, but that doesn’t preclude its authenticity. We need to let go of our limited views of reality. Look around. It’s time and it’s necessary. Now, here’s the problem. You can’t go looking for direct experiences. They creep up on you at totally unexpected times. Even if you have a regular contemplation or meditation practice, there is no guarantee that you will have a ‘brick falling on your head’ type of experience. You can, certainly, but with consistent spiritual practice, the experiences tend to be cumulative and therefore culminate into a broader kind of understanding, which over time changes your views about things and you begin that wondrous, scary journey from which there is no return. Still, those ‘right between the eyes’ sort of experiences are the ones that catch our attention. But, of course, we have to be open to them. The good news is that stories of non-dual, watershed moments are not as rare as one might think. Eckhart Tolle, in the introduction of his book, The Power of Now, describes his life up to the age of 29 as one of immense anxiety and dread “…interspersed with periods of suicidal depression.” One night, as he was suffering through his usual panic and dread, he thought, “I cannot live with myself any longer.” He suddenly realized the strangeness of that thought. He began to question who he really was. Was he “… the “I” or the “self” that the “I” cannot live with?” The duality that we all experience smacked him right between the eyes and he began to wonder if only one of them (the ‘I’ or the ‘self’) was real. His spiritual transformation occurred at that moment. Fritjof Capra in the preface of his book the Tao of Physics, describes his non-dual experience of ‘oneness’ occurring on a beach, where he suddenly became aware of the ‘…cascades of energy coming down from outer space, in which particles were created and destroyed in rhythmic pulses…” and how his own atoms were participating in this cosmic dance. He suddenly began to see the similarities between modern physics and Eastern philosophy, which set him on the path of writing this book. Direct experience usually leads us down a whole new path in life, as it did for Tolle and Capra. It expands our awareness and life is never the same. We begin to rise above the tedium to see the big picture. But do we really need to have direct experiences in order to experience changes in our perception? I’m not sure what the answer to that question is, so we’re stuck in a spiritual catch-22. How do we get to a place where we can begin to perceive non-duality without direct experience? How about cultivating a bit of tolerance? Tolerance removes the obstacles that lead to compassion and kindness. That would be a huge step forward from where we are now. It requires that we lift our awareness and place it on something other than our own self-interests. When we get there, we begin thinking of ways in which we can be of service to others. Ask yourself, “Am I serving myself or am I serving others?” Service to others might just put you on the path toward non-dualism. Every age thinks it has all the answers. We need to get over ourselves and realize that it’s time we wake up and move past the limited conceptual, man-made parameters of thought and embrace a more encompassing, compassionate view of reality in an effort to solve humanity’s problems. Einstein said, “No problem can be solved from the same level of consciousness that created it.” We need a shift of consciousness – now. We can put our awareness anywhere we want, so put it where it will do the most good. Early morning on Saturday August 7, 2010, I was finishing reading the book, Three Cups of Tea, with the sounds of CNN in the background. That’s when I heard about the ten aid workers killed in the Badakshan province of Northeastern Afghanistan. It was a synchronistic moment as I was, in that same instant, reading about Greg Mortenson’s trip through that same area in his quest to build schools in those regions threatened by the Taliban. Details of his trek through that province to meet with the commandhan of Badakshan echoed the dangers that tragically cost those workers their lives. I was struck by the grace of the workers’ family members and friends who told the world of their loved ones’ affection for the people they were helping in that region. Those aid workers were no strangers to Afghanistan. They understood the culture and loved the people. And, perhaps what was even more striking, was how the Afghan people loved them. The world was made to understand that their deaths were linked to the fundamentalist group of the Taliban and were not a reflection of the beliefs of the Afghan people. Listening to these reports by friends and family members, I was taken back into the book I was just finishing. Greg Mortenson’s account (written with David Oliver Relin) is filled with stories of how he won the trust and affection of first the Pakistani people and then the Afghans. You learn how he navigated cultural and religious differences by showing respect for their ways, managing to cut through the shroud of fear and suspicion. When you read Three Cups of Tea, your understanding of that part of the world, which is geographically and culturally remote, deepens. 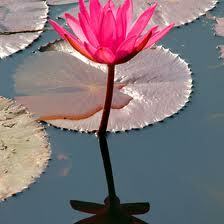 And understanding is the first step toward compassion….and peace. It has been our history as humans that when we are attacked in some way someone has to be blamed and retaliated against. Unfortunately, we usually direct our anger and retaliation not just at the attackers but at the larger group the attackers represent. We need to make them all suffer as we suffered. This “eye for an eye” and “It’s us against them” mentality will never bring peace. Never. Greg Mortenson knows this. The Pakistan and Afghan leaders, who became champions of Mortenson’s mission, also know this. The aid workers who died were peacemakers. Greg Mortenson is a peacemaker. It’s important to keep their efforts going. Please visit Greg Mortenson’s website www.threecupsoftea.com for more information and suggestions on how you can help.